According to a March, 2013 publication from the National Center for Family & Marriage Research at Bowling Green State University, authors Susan L. Brown and I-Fen Lin discussed the divorce rate for adults over the age of 50 in their article entitled “The Gray Divorce Revolution: Rising Divorce among Middle-aged and Older Adults, 1990-2010”. The authors noted that roughly 1 in 4 divorces in the year 2010 occurred to persons aged 50 and older, and that a growing number of people aged fifty and older are going to experience divorce given that remarriages are more likely to end in divorce than first marriages. 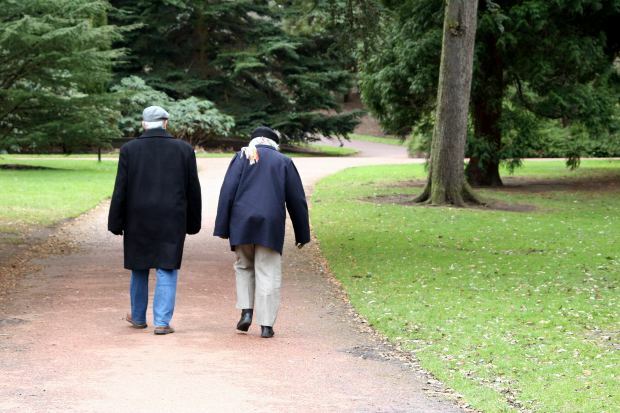 The authors also found that the incidence of divorce may be rising among older adults. For example, when comparing marital status of adults aged 65 and older in the years 1980 and 2008, the marital status as “divorced” doubled among men, rising from 5% in 1980 to 10% in 2008. Among women over the age of 65, the percentage reporting marital status as “divorced” tripled from 4% in 1980 to to 12% in 2008. Meanwhile levels of widowhood among older men remained unchanged and decreased among women between 1980 and 2008. Litigants who are over the age of fifty may have been married for some length of time, particlarly if the divorce involves a first marriage. Currently, in New Jersey the family courts have some discretion with regard to alimony awards. According to the New Jersey Supreme Court: “[T]he goal of a proper alimony award is to assist the supported spouse in achieving a lifestyle that is reasonably comparable to the one enjoyed while living with the supporting spouse during the marriage.” Crews v. Crews, 164 N.J. 11, 16 (2000). Family court judges must determine wehther alimony should be awarded at all and, if alimony is to be awarded, what the amount and duration of alimony are going to be. Judges are required to consider thirteen statutory factors established by the New Jersey Legislature in determining the amount and duration of alimony, and are permitted to award permanent alimony, limited duration alimony, rehabilitative alimony and reimbursement alimony. In general, however, the law on alimony and determining what is an appropriate duration and amount of alimony in New Jersey has been developed through case law, not through the Legislature. Thus, New Jersey case law tells that permanent alimony is generally awarded only in long-term marriages, while limited duration alimony is more appropriate for short-term marriages. Cox v. Cox, 335 N.J. Super. 465, 480-83 (App. Div. 2000). What is “short-term” and what is “long-term” is not defined by statute or case law, nor is there a mandated formula for determining the amount of alimony. Hence, the determination of alimony may be a complex one, as there is no mandated formula. The question over how alimony should be handled in New Jersey, however, continues. For instance, in the recent case of Gnall v. Gnall, the Appellate Division held that permanent alimony awards are not solely reserved for marriages of more than twenty years in duration, and that the “shared marital experience” cannot be reduced to a “formulaic calculation of compensation based on the number of years ‘in the marriage’, . . .” In Gnall, the Appellate Division determined that a marriage of fifteen years warranted an award of permanent alimony, although the Court stated that they were not drawing specific lines delineating what “short term” versus a “long term” marriage with regard to the appropriateness of a permanent alimony award. As previously written, however, the New Jersey legislature is proposing dramatic overhauls to alimony law in New Jersey to eliminate permanent alimony and to create such formulas and delineations to remove much of the family judge’s discretion when awarding alimony, and to create a formula to determine the amount and duration of alimony. The alimony issue remains complex and further remains subject to debate. Related to the question of alimony, those over the age of fifty may be at a time when the payor spouses reaches retirement age, when such spouse voluntarily retires early, or what occurs when the supporting spouse loses his job and because of his/her age cannot find work that pays an equivalent amount. Typically, alimony is modifiable when there has been a substantial change in circumstance from the circumstances that existed at the time that alimony was awarded or agreed upon. Lepis v. Lepis, 83 N.J. 139 (1980). A change of circumstance can occur when the payor spouse’s income substantially declines. However, the payor spouse may have sufficient assets and income from other sources to be able to continue to pay alimony. Although supporting spouse’s current income is primary source considered in setting amount of alimony award, his or her property, capital assets, and capacity to earn the support awarded by diligent attention to his or her business are also proper elements for consideration. Therefore, depending on the financial circumstances of the parties, a retirement may or may not constitute a change in circumstance. Where an entire pension is treated as an asset for purposes of an immediate offset equitable-distribution award, however, the pension cannot them be subsequently considered as income for alimony modification determinations in order to avoid double-dipping. Innes v. Innes, 117 N.J. 496, 507 (1990). If the payor spouse voluntarily chooses to retire early and seeks to reduce alimony at that time, the family court may determine whether that early retirement was in “good faith”, and examine factors such as the age, health of the party, his motives in retiring, the timing of the retirement, his ability to pay maintenance even after retirement and the ability of the other spouse to provide for himself or herself. Deegan v. Deegan, 254 N.J. Super. 350, 357-58 (App.Div. 1992). It is possible that child support for any unemancipated children that the parties may have at the time of retirement, however, may still continue even if a retirement was deemed in good faith. Deegan, 254 N.J. Super. at 354-59; Ibraham v. Aziz, 402 N.J.Super. 205, 211 (App.Div. 1992). Spouses who are age 50 and over may have acquired significant assets during the marriage that must be equitably distributed between them, such as primary home and/or vacation homes; cars, boats and other vehicles; stocks, bonds or other securities, bank accounts, business interests, and retirement accounts. The court must identify marital assets, value them, and then determine the most equitable way to distribute them between the parties. In many cases, additional experts are needed to value real estate, appraise businesses, or value retirement accounts. In the case of defined benefit retirement plans, a Qualified Domestic Relations Order will need to be prepared to divide such retirement accounts between the parties. Divorcing spouses in their fifties and sixties may be responsible for children who are enrolling or already enrolled in college or other form of higher education. A determination must be made when such parties divorce as to how they will allocate their children’s college expenses. As previously written, family court judges consider different factors, such as the background and values of the parents and the reasonable expectation of the child for higher education, the cost, the ability of the parents to pay the cost, the commitment and aptitude of the child, and other factors. As can be seen, such divorces may be complex and it is recommended that legal advice be sought and obtained. The law office of James P. Yudes, A Professional Corporation has knowledgeable attorneys to assist you.